When Elvis was called up to serve in the US Army, it was seen by many as representing the end of a golden period in pop history. How would the rigorous and repetitive existence of army life effect the rawness and spontaneity if the man that was known as the 'King' of Rock'n Roll. 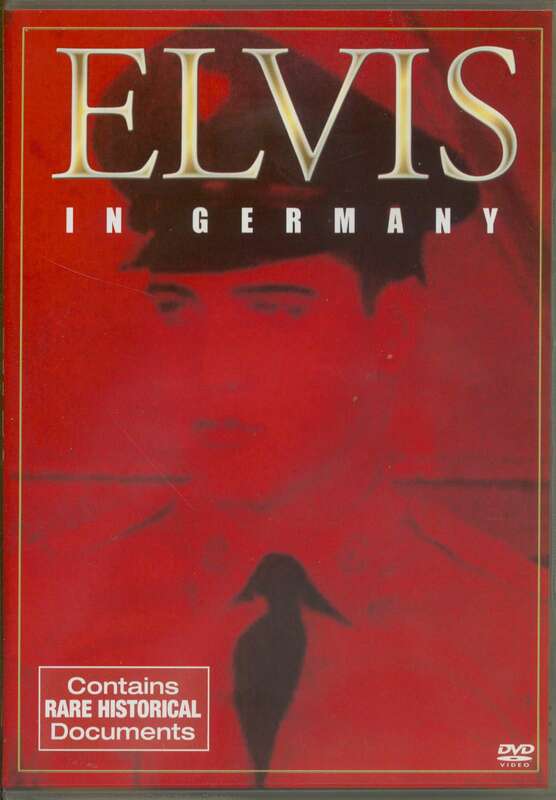 This DVD gives a rare glimpse of Elvis's time in Germany, with interviews from his close friends and home video clips. 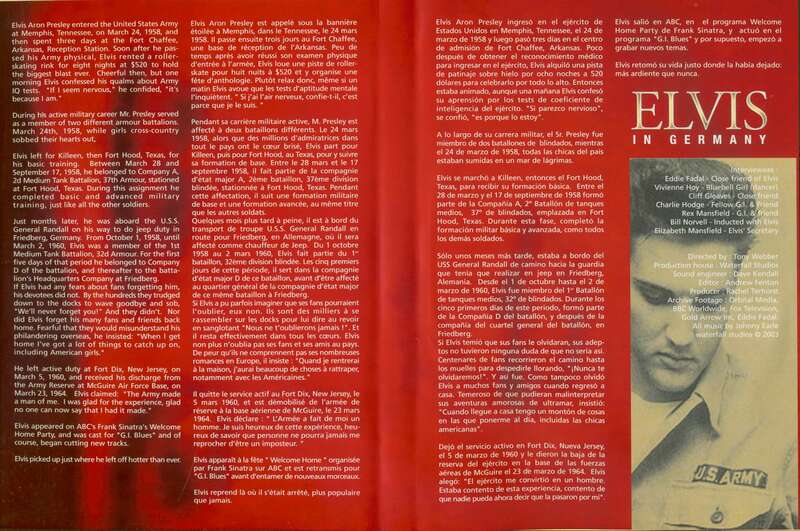 Find out how Elvis handled the death of his mother, and met Priscilla, and how he managed to remain in the public's imagination until he returned to reclaim the throne. This DVD includes rare and archive footage. 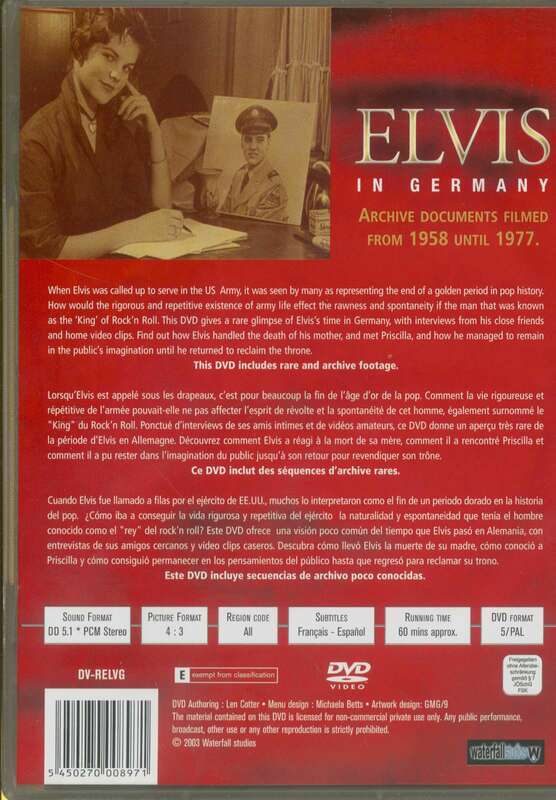 Customer evaluation for "Elvis in Germany (DVD)"